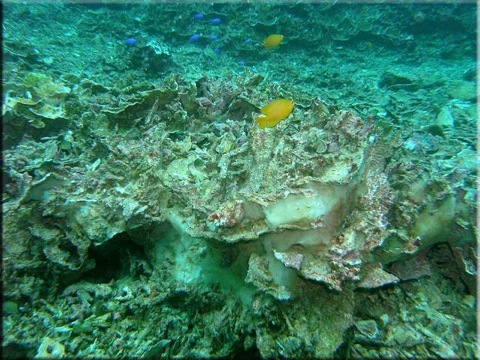 There are around 6000 species of corals known. 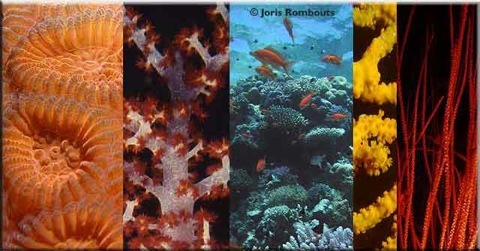 Corals divide into two subclasses, depending on the number of tentacles or lines of symmetry, and a series of orders corresponding to their nematocyst type. Those with eight tentacles are called octocorallia or Alcyonaria and comprise soft corals, sea fans and sea pens. Those with more than eight tentacles in a multiple of six are called hexacorallia or Zoantharia. This group includes reef-building corals Scleractinians, sea anemones and zoanthids. Corals are marine organisms who live in compact colonies of numerous identical individual polyps. A coral head which appears to be a single organism, is a colony of myriad genetically identical polyps. Each polyp is only a few millimeters in diameter. 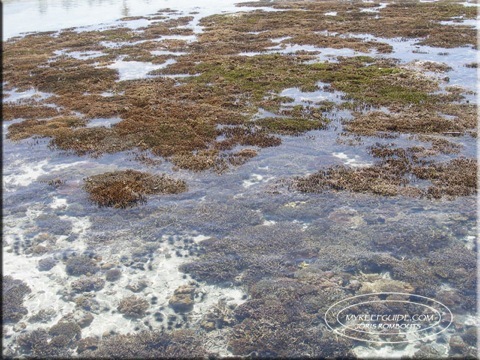 Although corals can catch small fish and plankton using their stinging cells on their tentacles, most corals obtain most of their energy and nutrients from photosynthetic unicellular algae called zooxanthellae. 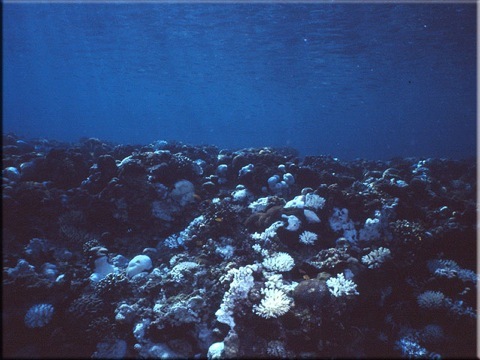 Such corals require sunlight and grow in clear, shallow water, at depths shallower than -60 m. Other corals do not have associated algae and can live in much deeper water. Over many generations the colony secretes a skeleton that is characteristic of the species. Individual heads grow by asexual reproduction of individual polyps. Corals also breed sexually by spawning. Polyps of the same species release gametes (eggs) simultaneously over a period of one to several nights around a full moon. Synchronous spawning is very typical on a coral reef and often, even when multiple species are present, all corals spawn on the same night. This is essential so that male and female gametes can meet. 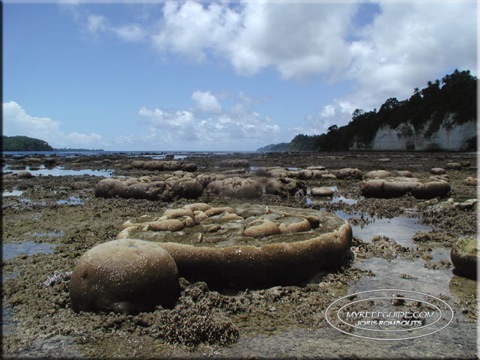 Reproduction allows coral to settle in new areas. 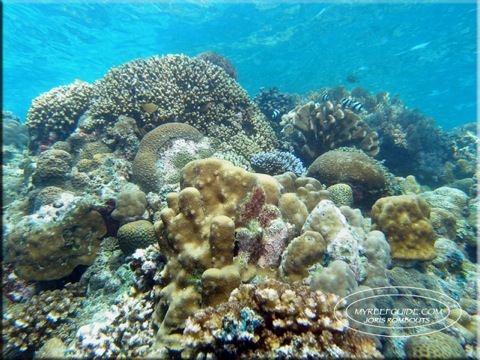 Corals are highly sensitive to environmental changes. Scientist have predicted that over 50% of the world's coral reefs may be destroyed by 2030, as result most nations protect them through environmental laws. Many governments now prohibit removal of coral from reefs and use education to inform their populations about reef protection and ecology. 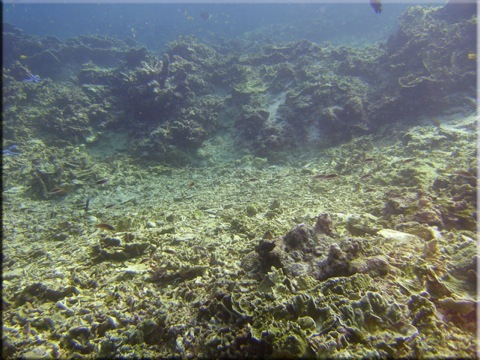 However, many other human activities damage reefs, including mooring, fishing, mining and construction. Local economies near major coral reefs benefit from an abundance of fish and other marine creatures as a food source. 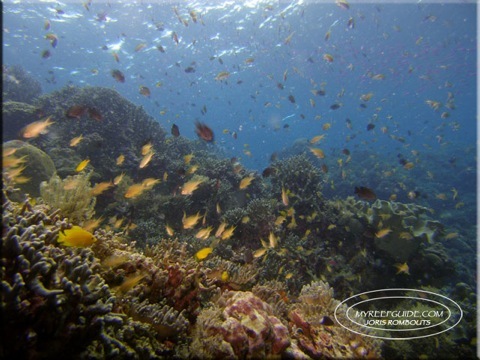 Reefs also provide recreational scuba and snorkeling tourism. Unfortunately these activities can have deleterious effects, such as accidental destruction of coral. This is why dive shop owners constantly should inform al their customers about this problem. 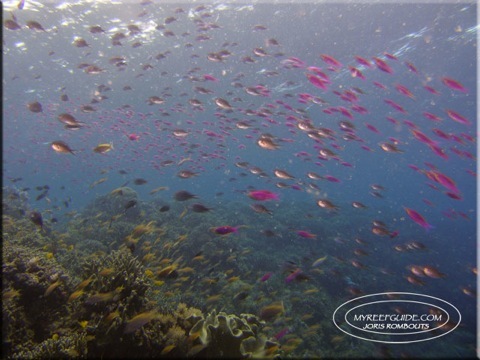 Not only to protect the reefs, but also to protect their working environment. Stay controlled, no need to hold. Coral damage due to weather conditions.